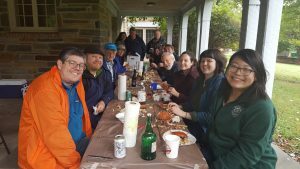 It may have been a little wetter and chillier than some years, but this year’s Annual Crab Feast was another awesome event. There were nice warm crabs and plenty of delicious side dishes and beverages. Everyone had a good time and had the opportunity to reconnect or meet new people and talk fish! Networking opportunities were in such force that business cards were exchanged. Funds raised from this event, will help us to fund student travel. 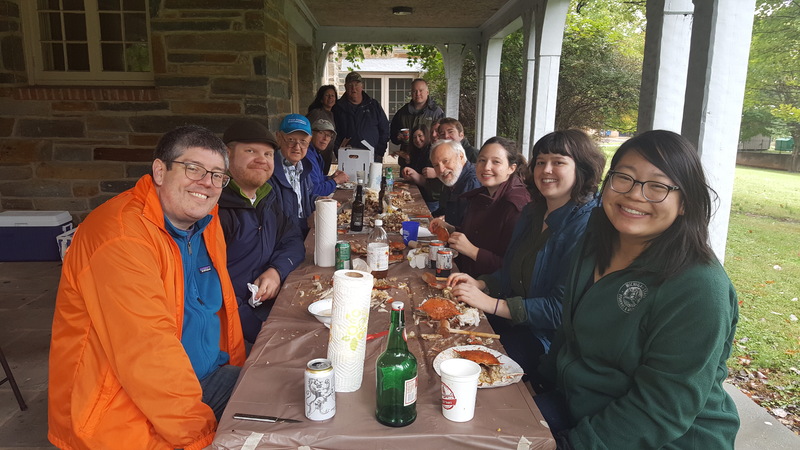 Thank you to everyone that attended, Ward Slacum for procuring the crabs, and AFS staff Eva Przygodski and Denise Spencer for helping us to secure the location and opening the building to provide us access to the restrooms!